LANG (Braemar) Suddenly, on Sunday, November 4, 2018, Robert (Chef), aged 66 years, beloved husband to Helen and father of Helen and Vicky. A service will be held in Braemar Parish Church, on Tuesday, November 13, at 12.30 p.m., all welcome. 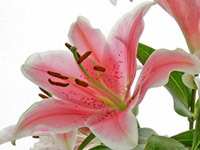 Family flowers only, please, but donations, if desired, to Braemar Clinic or Braemar Fire and Rescue.